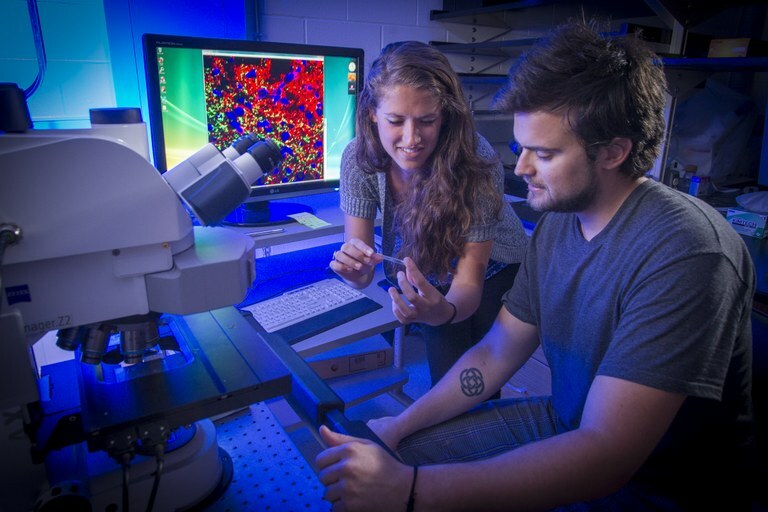 The UNC Neuroscience Microscopy Core provides a full spectrum of advanced systems for cellular and molecular imaging of in vitro and in vivo samples. In addition to providing access to high resolution imaging technologies, the Microscopy Core also implements new imaging technologies, particularly related to real time and tissue clearing based imaging of neurodevelopment and neural functions, and provides training, consultation, data analysis, image processing, and centralized technical expertise to support the imaging needs of neuroscientists. The Microscopy Core is supported, in part, by funding from the NIH-NINDS Neuroscience Center Support Grant P30 NS045892 and the NIH-NICHD Intellectual and Developmental Disabilities Research Center Support Grant U54 HD079124.